Recently I was interviewed about digital leadership and what leaders have to consider now when everything has a digital angle to it. I’ve been to plenty of conferences and workshops where we talked about opportunities and hurdles in digitalisation. Every time the conclusion is the same: everyone agrees that it’s culture and leadership that stops work from progressing as quickly as it should. It’s people that are the problem when going digital, not technology. In digital leadership you sometimes talk about SMACI technologies, which are all part of making the world more digital. All these technologies are affecting us hugely. Digital technology is nothing new, but it’s taken quite a long time for new technologies to go mainstream. 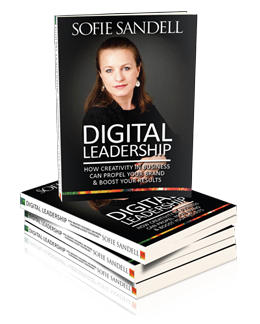 I started to talk about digital leadership in 2011 and I published my book Digital Leadership in 2013 (you can order it directly from me). I think I was the first to publish a book with that title. Now mainstream media is starting to talk about digital leadership and what is needed to make it happen. There are many dimensions of digital leadership. My background is in sales and marketing, and I’ve been working in positions where we results must be measured all the time, both financial results and online engagement. I also happened to be an early adopter of social media, and it has become one of my specialities. My passion for digital technology has helped me to learn more about all kind of digital topics, and my view is that anyone can become a digital leader by continually learn about new technologies, online engagement and digital strategies. My digital philosophy is based on the theory that by knowing more about how creativity works you will be a better leader. If you know how people and creativity work together you will be better at collaborating when things are uncertain and new. When we are expanding our digital leadership knowledge we need to help and reassure each other that all these confusing digital things are going to be alright. In a leadership book I read in 2008 there was a lovely metaphor saying‘jump off the cliff and build your wings on the way down’. That is what digital leadership is about: learning by doing, because you can’t copy anyone else when something’s new. For example, with big data, we have access to live information, and we can quickly respond to any changes in the market. But you have to be fast to be able to use it. When we dare to make mistakes we are more creative. This is something I’ve pushed for years, but it’s so hard to implement. But by just being a bit more forgiving to ourselves we dare more. When businesses and organisations are as complex as they are today we are constantly building new relationships and forming new collaborations. 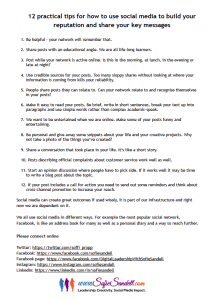 People who are developing their networking skills definitely benefit from this culture. Many of us are also addicted to new inspiration and staying inspired. For organisations this is a problem as they know that they cannot inspire employees all the time. In that case, they need to find new ways to satisfy their employees so that they devote their energy to the company while they are at work. Also, we are keen to know why a business has made a certain choice. Transparency and honesty is part of the digital age where everything is published immediately on Twitter, Facebook and YouTube. Having a hidden agenda is not productive today when news spreads in seconds on social media. Anyone with the desire to expand their knowledge and experience can become a digital leader. The whole world is standing in front of a long project of getting services online, and we need to work on this together. 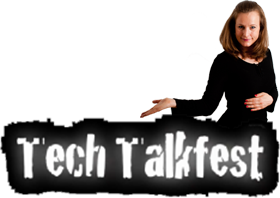 ← Life online after death – have you put any plans in place?